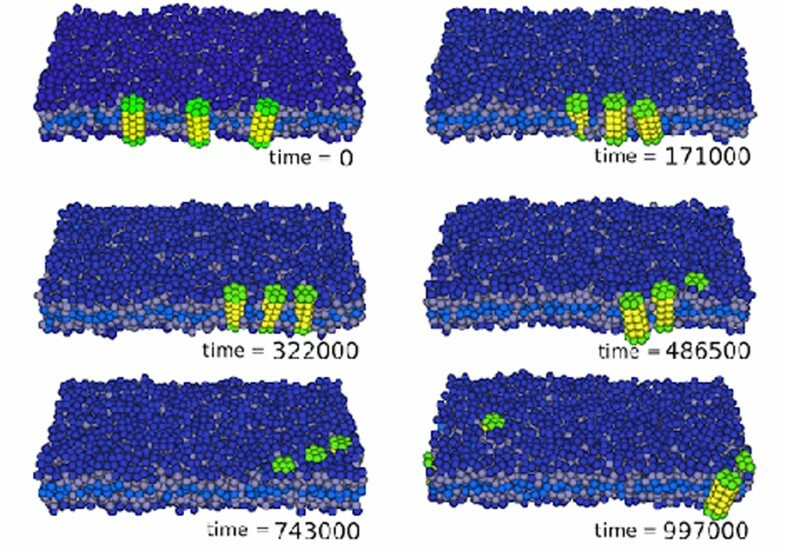 Active protein inclusions in biological membranes can represent nano-swimmers and propel themselves in lipid bilayers. A simple model of an active inclusion with three particles (domains) connected by variable elastic links is considered. 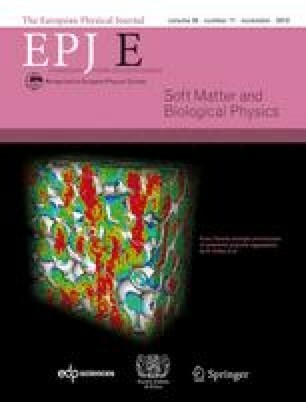 First, the membrane is modeled as a two-dimensional viscous fluid and propulsion behavior in two dimensions is examined. After that, an example of a microscopic dynamical simulation is presented, where the lipid bilayer structure of the membrane is resolved and the solvent effects are included by multiparticle collision dynamics. Statistical analysis of data reveals ballistic motion of the swimmer, in contrast to the classical diffusion behavior found in the absence of active transitions between the states. Supplementary material in the form of a .mov file available from the Journal web page at 10.1140/epje/i2012-12119-5 and accessible for authorised users.